Join us on a special tour by snowmobile through a snowcovered landscape to a frozen secret arctic char lake where we stop for ice fishing after the Lappish delicious and well-known Arctic Char. This is a very popular excursion among the local people during the winter and spring months and here you have a chance to experience what it's like. 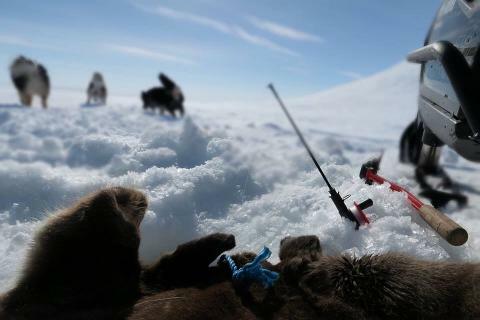 We will show and tell you everything you need to know about ice fishing and while you are trying your luck on the ice, your guide will make a fire for you, cook an outdoor lunch and serve warm drinks. So just lean back and enjoy the excitement of ice fishing! 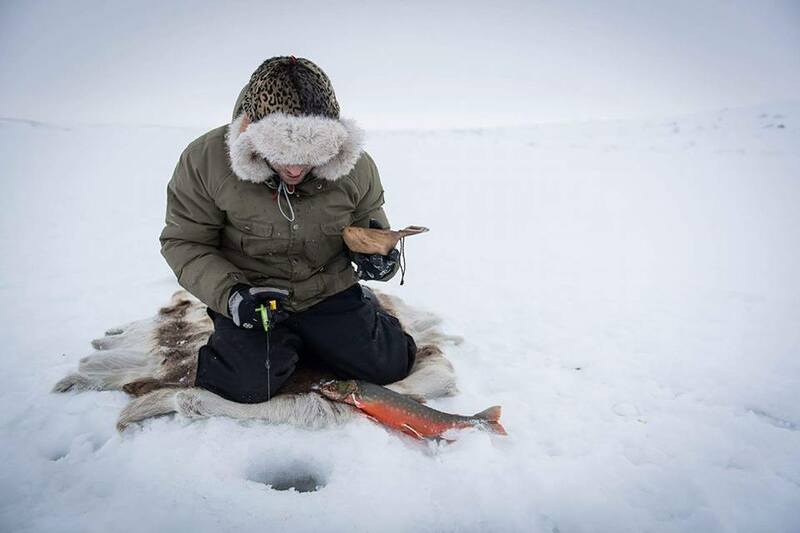 If you wish to keep your catch, we will prepare and cook it for you in our own traditional Lappish way. If the weather is to cold or windy we can enjoy the icefishing inside from our heated tent.